1. As iPod does not have phone, Messaging feature is not applicable for iPod. But if your iPod has installed iOS 5 or later, then you can send animated emoticon to another via iMessages iPhone or iPod with iOS 5 installed or later. 2. If your recipient uses a 3G phone and connects to 3G network, then he / she will receive your animated emoticon in the message. The recipient’s phone does not need to be an iPhone. 3. For messaging, only one animated emoticon can be sent because Apple only supports to send one single animated emoticon. How to send multiple animated emoticons via Email? Find your desired emoticon in the table and tap it. It will be shown in the editor. 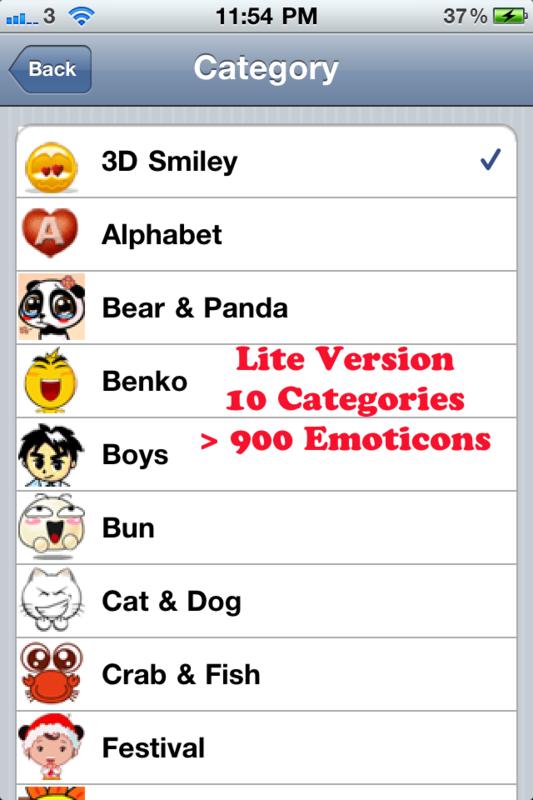 Select other desired emoticons by flipping to next pages of same category or touch the bottom bar to select another category of emoticons. Tap the ‘Pencil’ icon on top bar above the editor to switch to keyboard and type text for your email message. Tap the ‘Smiley’ icon on top bar to switch back to emoticon table. Tap the ‘Email’ icon on top bar to go to the Email App in the device. You can continue to edit your message and send your email via the Email App as normal. How to delete emoticon in the editor area? You can delete the emoticon you just previously input sequentially. Tap the ‘Pencil’ icon on top bar above the editor to switch to keyboard. Tap the ‘Backspace’ key to delete the emoticon you want to delete. If you want to delete other emoticon in the middle of message, then complete your message and press the ‘Email’ icon on top bar to go to your Email App in the device. You can edit the message by tapping anywhere and so can delete the emoticon in the middle of message. 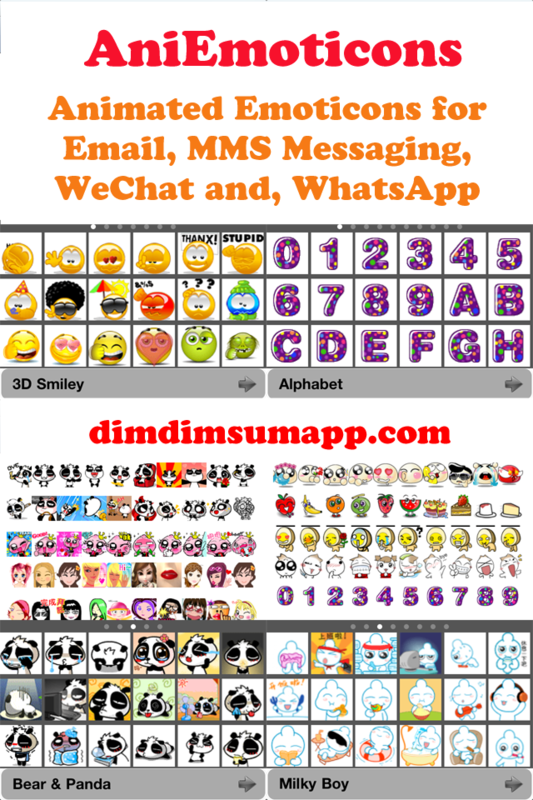 How to send single animated emoticon via MMS? Find your desired emoticon in the table and tap it. It will be shown in the Box above the table. Select your desired emoticon by flipping to next pages of same category or touch the bottom bar to select another category of emoticons. Tap the ‘MMS’ icon on top bar above the Box to go to your MMS App in the device. Start to write a new ‘MMS’ in your MMS App. Tap the input box of your MMS App so that ‘Paste’ is shown. Tap ‘Paste’ to paste your selected emoticon into the input box. Note that the emoticon is static in the MMS App but it should be moving after it has been sent. Type your text in the input box as normal. Send your message via your MMS App as normal. Why is the emoticon not moving after pasting it in the MMS App in the device? It is normal that the emoticon is static in the MMS App. It should be moving after it has been sent.